This article was written by Vumani Msimang of Venn Nemeth and Hart. Fracking is a perfect example of what can be done to boost the economy of the country. It is estimated that the shale gas industry can contribute up to R200 billion a year to the country’s GDP and create more than 700 000 job opportunities. Surely that has to be mouth-watering stuff to government and potential investors, especially in the light of the high levels of poverty and unemployment in the country, and hence the need for more investment into the economy. At the same time, fracking is a perfect example of what unsustainable development is about. At the moment fracking is under a moratorium in more than 140 countries in the world, simply because it is generally agreed that there are very serious environmental impacts associated with it. Fracking is a means of extracting natural gas from deep underground. This entails drilling a few hundred meters into the ground to form a sort of a very deep well. Once a well is drilled, millions of gallons of water mixed with sand and chemicals are injected under tremendous pressure into a well. The pressure exerted by water fractures the shale and props open fissures that enable natural gas to flow out more freely for extraction. 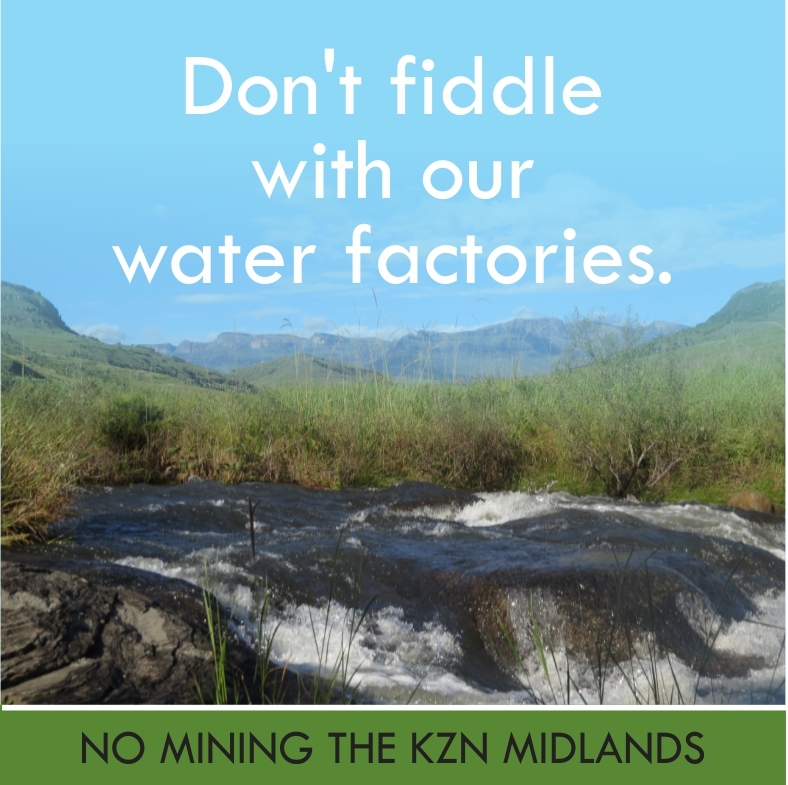 In a country where fresh water is very scarce it seems unthinkable that the use of such high quantities of fresh water for fracking can be sustained and justified. Furthermore, the chemicals used will inevitably have a detrimental impact on the underground water as well as on the environment in general. Sustainable development envisages that everyone has the right to have the environment protected, for the benefit of present and future generations, by ensuring that development and use of natural resources take place in a manner that is sustainable while promoting justifiable socio-economic development. Fracking is definitely not congruent with this notion. The country has enough problems as it is in terms of environmental degradation, loss of biodiversity, pollution, and depletion of natural resources. We don’t want to add to these problems through fracking. There is a bottom line here. Fracking, if allowed, will eventually lead to serious problems no matter what ‘best practices’ are adopted in the process. It’s like boarding a bus to Johannesburg and hoping to end up in Cape Town. The bus goes to where it says it is going to and if one has a problem with that then one is in the wrong bus. The country does not have sufficient water resources to sustain fracking and the chemicals used in fracking. The resultant waste water will cause serious environmental damage. That is where the fracking bus is going to and if we want to end up elsewhere then we had better not board. This entry was posted in Uncategorized and tagged fracking on September 20, 2013 by Midlands Conservancies Forum. It is important to understand that the majority of that R200 billion is unlikely to find its way into poor people’s pockets. It is far more likely to benefit the already rich and to leave South Africa in the pockets of the companies that do the fracking. And job opportunities are often short-term, low-skill opportunities that disappear once the project is up and running – and most certainly disappear as soon as the project becomes less profitable. There is plenty of evidence to indicate that the extraction of minerals and fuels tends not to advantage the communities in which the extraction is happening, and that such communities land up carrying the additional burden of the adverse health and social impacts related to such extraction. It is, I suppose, possible that SA’s GDP will benefit from fracking, but I believe that it is vital that we all begin to understand that GDP is not a sustainable concept and that we should be searching for more viable indicators of a country’s health. Apart from anything else, the GDP is a completely false indicator as it does not take into account the external costs related to many of the activities that contribute to the GDP. While R200 billion MAY be added to the GDP (when, and for how long?) we have no idea of how much will be lost in real terms: in terms of water pollution, addition to the greenhouse gases, social impacts, health impacts and so on. In South Africa we are constantly pursuing the dream of economic growth at all costs, no matter how much we destroy what we have and what Nature provides for us in the process. What politicians, industrialists and and economists have to get into their thick skulls is that we live in a finite world with finite resources that we have squandered in the search for riches. These resources have been overexploited and we are now starting to bear the brunt of our greed. What we should be seeking is not to strive for an unsustainable ever growing economy but rather to develop a new steady state economy where the Earth’s natural resources are not overexploited but are used in a manner that we do not exceed the amount that can be replaced by Nature. In this steady state economy the oil, gas, coal, etc should be left in the ground and we should seek ways of making our own fuels from the mountains of waste that overfills our garbage dumps. This would create far more job opportunities than what fracking can.